A luxurious outlet for travelers and folks, the place is crammed with numerous shops and food corners providing high quality products within a reasonable price range. It caters to both local and international brands and tourists can often find themselves buying more than they need thanks to the variety and range they provide. There are also some nice cafes and restaurants in and around the outlet for visitors to dine. Close to the city, it makes a great destination for a break for both tourists and folks. How popular is Highway Outlet? 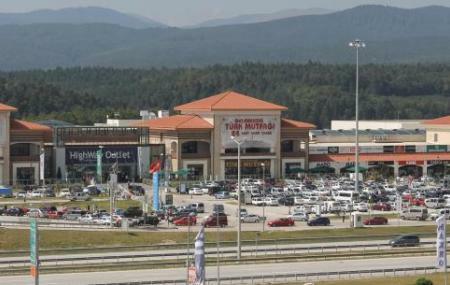 People normally club together Yenicaga Golu and Lake Abant Nature Park while planning their visit to Highway Outlet. Fantastic mall with an exceptional open plan restaurant section. Great shopping too with competitive prices. Largest stop on the way. Everything you need and more. Toilets are clean.